For the second year in a row, Mother Nature won out in the Engine Pro Sprints On Dirt presented by ARP season opener at Crystal Motor Speedway yesterday. Track owner/promoter Ron Flinn agonized over making the right decision on the day where the early forecast was dubious at best and the later forecast was one of impending doom. With many SOD competitors and fans facing several hours travel time to the race and the forecast, Flinn notified SOD at 10:30 AM that he was pulling the plug. Flinn’s decision proved to be the right one, as late afternoon conditions would have rendered even the best prepared track surface unraceable. By early evening, continuous, heavy rain had moved in, and even now, over 13 hours later, Crystal continues to be pounded with rain and it is predicted not to stop until 9:00 AM tomorrow morning. Flinn had the foresight to plan a rain out date for the always popular Sprints On Dirt, and next Saturday, May 6, is the date. On behalf of the entire family of SOD competitors, fans, and friends, SOD management thanks Ron Flinn for his timely decision to call off the race program under difficult conditions. 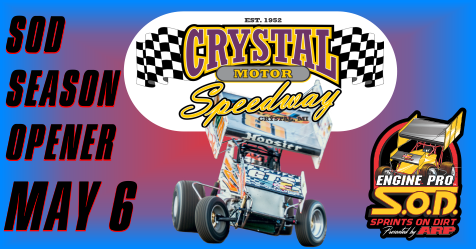 Want to know more about Crystal Motor Speedway? Go to www.crystalmotorspeedway.com and on Facebook at www.facebook.com/CMSpeedway. To learn more about Engine Pro, go to www.enginepro.com. For more information about ARP, go to www.arp-bolts.com. For complete information about all 2017 SOD events, follow SOD at www.sprintsondirt.com and on Facebook at www.facebook.com/sprintsondirt. 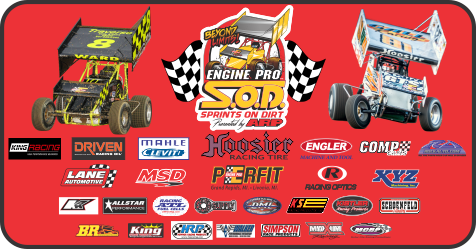 Engine Pro Sprints On Dirt presented by ARP is brought to you in 2017 by many important sponsor partners including: Engine Pro (Title Sponsor), ARP (Title Sponsor), Hoosier Racing Tire (Official SOD Tire), MAHLE/Clevite (Beyond Limits Challenge Sponsor), Driven Racing Oil (Battlegrounds Bash Sponsor), King Engine Bearings (King of Michigan Sponsor), Lane Automotive (Fast Masters Sponsor), MSD Ignition (Fast Masters Sponsor), Engler Machine & Tool (Primary Heat Race Sponsor), COMP Cams (Primary Heat Race Sponsor), RockAuto.com (Primary Heat Race Sponsor), The Perfit Corporation (Lucky Dog Sponsor), KSE Racing Products (Hard Charger Sponsor), and XYZ Machining (Season Sportman & Crew Chief Sponsor). In addition, SOD contingency sponsors include: Allstar Performance, ATL Racing Fuel Cells, BR Motorsports, Diversified Machine Inc. (DMI), Hepfner Racing Products (HRP), K2W Precision/Keizer Aluminum Wheels, King Racing Products, Kistler Racing Products, Maxim Racing, Motor City Racing Promotions, Racing Optics, Rod End Supply, Schoenfeld Headers, Simpson Racing Products, Walker Performance Filtration. The 2017 Engine Pro Sprints On Dirt presented by ARP season kicks off this Saturday, April 29, at SOD’s traditional opening show host, Crystal Motor Speedway. The long partnership goes all the way back to SOD’s first season 38 years ago. Crystal owner Ron Flinn has been promoting dirt track races for 40 years now. 2017 promises to be an action-packed, exciting season. Most racers who were part of last year’s SOD “beyond limits” introductory season are returning for 2017. Joining them will be several drivers new to sprint car racing and others from different segments of sprint car racing. SOD’s success in 2016 hasn’t gone unnoticed as sponsor involvement has more than doubled for 2017. Stevie Irwin and Ryan Ruhl won the two SOD shows at Crystal last year. Unfortunately, Crystal Motor Speedway suffered three of SOD’s five rainouts, but we have asked Mother Nature to be kind to us this season. 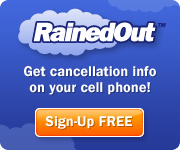 As a precaution, though, the following Saturday, May 6, has been set as a rain date. The opener will give racers an opportunity to get a race under their belt before jumping into the first King Engine Bearings King of Michigan race at Hartford Speedway on Friday, May 19. 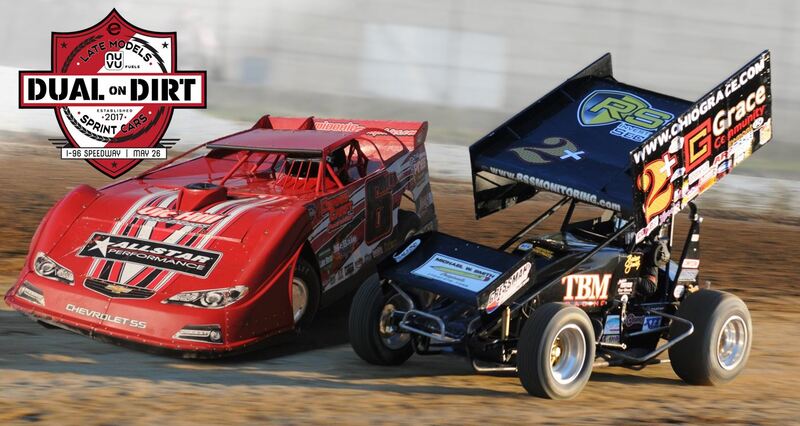 The next day, May 20, the first MAHLE/Clevite Beyond Limits Challenge race takes place at Baer Field Motorsport Park in Fort Wayne, Indiana, for the historic, first-ever dirt show there. For more information about Crystal Motor Speedway, go to www.crystalmotorspeedway.com and on Facebook at www.facebook.com/CMSpeedway. 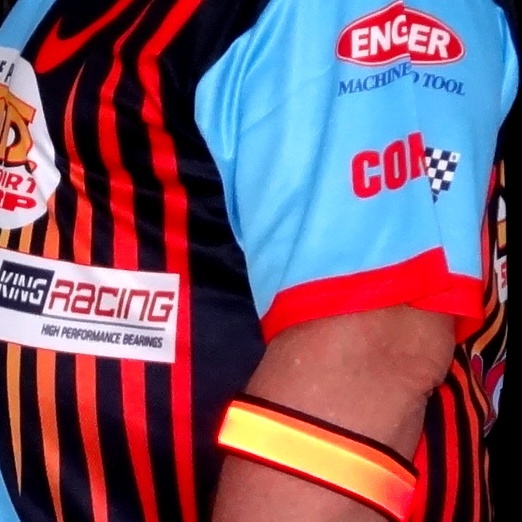 Always an innovator and leader, Engine Pro Sprints On Dirt presented by ARP will provide its infield and pit officials with LED armbands for 2017 races. Visibility of the officials should be greatly enhanced with the use of the armbands. The armbands will be in use beginning with the SOD opener at Crystal Motor Speedway on Saturday, April 29, and their effectiveness will be continuously monitored throughout the season. Other than the obvious safety aspect of their use, officials will also be easier to locate in the pit area. The orange LEDs can be set to be continuously on or flashing. Follow SOD at www.sprintsondirt.com and on Facebook at www.facebook.com/sprintsondirt. To learn more about Engine Pro, go to www.enginepro.com. For more information about ARP, go to www.arp-bolts.com. For the first time ever, Michigan’s two premier racing series, the American Ethanol Late Model Tour and the Engine Pro Sprints on Dirt presented by ARP, will join forces to present MIchigan race fans with a spectacular dual race program. The NUVUfuels Dual on Dirt will be run at I-96 Speedway on Friday, May 26. For the full Dual on Dirt story, go to www.motorcityracing.co/dualondirt. The SOD portion of the Dual will be headlined by the Dirty 30. In SOD’s lone appearance at I-96 last year on August 20th, “Mad Max” Stambaugh won over 2016 SOD Champion Brian Smith and Stevie Irwin. Motor City Racing Promotions (MCRP) is the event management group and promoter of the inaugural Dual on Dirt as this historic race day. To learn more about Motor City Racing Promotions, go to www.motorcityracing.co or visit them on Facebook at www.facebook.com/motorcityracingpromotions. Dual on Dirt event sponsor NUVUfuels, LLC is dedicated to advancing biofuel production by implementing management, energy efficiency, technology and operational improvements. Get to know them at www.nuvufuels.com and on Facebook at www.facebook.com/nuvufuels. Engine Pro Sprints On Dirt presented by ARP certainly is known to do its best to reward its racers, and the 2017 season will be no exception. With the help of its many sponsor partners, 2017 will be a great season. While equipment and tires are unchanged for 2017, two significant rule changes have taken place. First, the standard format for 2017 races will now be to utilize combined hot laps/qualifying sessions instead of drawing for heat race line ups. The second significant change is the removal of the clause “not miss more than two SOD race events” from section 10.1 of the rule book in order to qualify for point fund and other season-end payouts and awards. In 2017, every time SOD racers hit the track at each race, extra awards will be on the line. LANE AUTOMOTIVE/MSD IGNITION Fast Master Award will pay the fast qualifier for each heat race $50. ENGLER MACHINE AND TOOL will pay the winner of heat race #1 $100. KISTLER RACING PRODUCTS will award a product certificate for 2nd place. RACING OPTICS will award a voucher for a free pack of tearoffs for 3rd place. COMP CAMS will pay the winner of heat race #2 $100. ALLSTAR PERFORMANCE will award a product certificate for 2nd place. ROCKAUTO.COM will pay the winner of heat race #3 $100. ENGINE PRO will pay the winner of heat race #4 $100. KING RACING PRODUCTS will award a product certificate for 3rd place. ROD END SUPPLY will award the winner a product certificate. ROD END SUPPLY will award the 2nd place finisher a product certificate. ROD END SUPPLY will award the 3rd place finisher a product certificate. SCHOENFELD HEADERS will award the 4th place finisher a product certificate. ATL RACING FUEL CELLS will award the 5th place finisher a product certificate. KEIZER ALUMINUM WHEELS will award the 11th place finisher a product certificate. BR MOTORSPORTS will award the winner of a draw from finishers 1- 10 a product certificate. DMI will award the winner of a draw from finishers 12-16 a product certificate. KSE RACING PRODUCTS will award the hard charger a product certificate. PERFIT CORPORATION Lucky Dog Award will pay the winner of a draw from all entries $100. In addition to race day awards, SOD members will be eligible for the season point fund and numerous year-end banquet awards. ENGINE PRO, as the title sponsor, ensures that SOD members enjoy a great point fund. ARP (Automotive Racing Products) shares title sponsorship with Engine Pro. HOOSIER RACING TIRE provides the SOD spec tires and each tire sold adds to the point fund. MAHLE/CLEVITE will pay a point fund for the Beyond Limits Challenge paying $1,000 to win. DRIVEN RACING OIL will pay a point fund for the Battlegrounds Bash paying $1,000 to win. KING ENGINE BEARINGS will pay a point fund for the King of Michigan paying $1,000 to win. HEPFNER RACING PRODUCTS (HRP) will award product. MAXIM RACING will provide 5 product certificates for 2017 Maxim chassis users. PERFIT Sprint Car Rookie of the Year will receive $500. PERFIT Series Rookie of the Year will receive $500. ROD END SUPPLY will award 1-10 place finishers a product certificate. SIMPSON RACING PRODUCTS will award product. WALKER PERFORMANCE FILTRATION will award product. XYZ MACHINING Sportsman of the Year will receive $300. XYZ MACHINING Crew Chief of the Year will receive $300. For complete information about all 2017 SOD payouts, sponsor awards, and eligibility requirements go the Sprints On Dirt website, click on Competitor Info, then 2017 SOD Payouts, Awards, Requirements.